A trend coming this fall is bold, vibrant blues which is awesome for me because blue happens to be my favorite color! 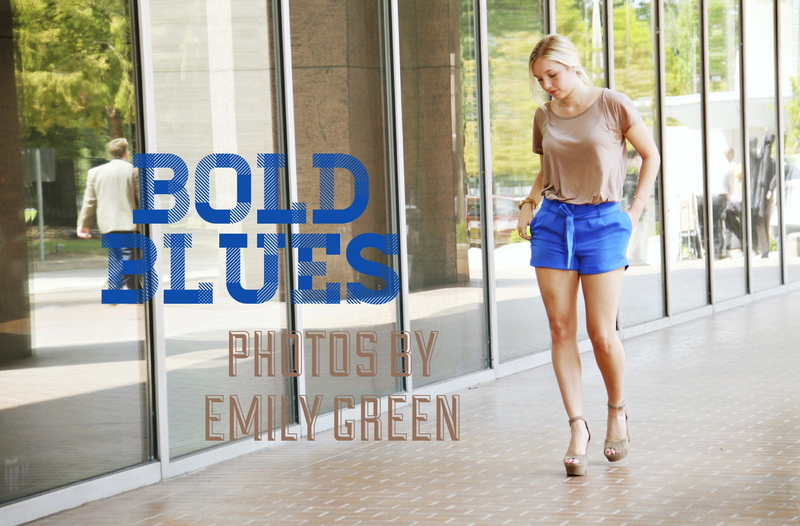 I paired these borrowed blue shorts with a simple tee to make for a casual, transitional look. It could be paired with sandals or heels as I did for a sunny afternoon. This past weekend I spent my Friday afternoon doing a fun little photo shoot in downtown Baton Rouge with my two friends. Even though it was extremely hot (what a surprise) I had a blast posing in undiscovered areas of Baton Rouge! Check out these pictures in my next few posts coming up. My friend, Emily Green, is an extremely talented photographer!